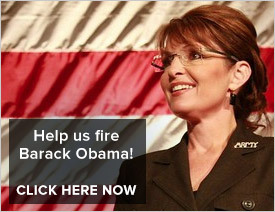 SarahPAC: Time to Fire Barack Obama! You’ve been a loyal SarahPAC supporter and I can’t thank you enough for your generosity. Will you help us finish what we started in 2010? You were part of the original Tea Party movement. You joined Gov. Palin in telling Barack Obama that we didn’t want him to “fundamentally change” the America we love. If he and his class-warfare cronies in the Senate aren’t defeated, there will be no end to theirregulating, spending, printing and borrowing. I don’t want my children and grandchildren working the rest of their lives just to pay off Obama’s debts. And I’m willing to bet you don’t either. So I’m asking you to join us in finishing the job today. Will you help Gov. Palin prove that the Tea Party movement isn’t simply a political fad… it’s an American awakening! And it’s coming from ordinary Americans who understand that reclaiming our America meansrepealing ObamaCare. Upholding the Tenth Amendment. Reining in overregulation. CancelingObama’s unused stimulus money. Eliminating all federal corporate income tax, corporate welfare, and loopholes. And tapping into our abundant American energy resources – oil, natural gas and clean coal – to free us from dependency on foreign dictators! …because this November we have a chance to fire Barack Obama! State by state, district by district – by bus, by plane, on the stump – you can count on Gov. Palin to do everything in her power to elect candidates who share our vision for America. Will you continue to support our SarahPAC Revolution and help elect pro-family, pro-America patriots who share our beliefs to Congress? Thank you for helping us save the America we know and love! P.S. Our victory in 2010 may have slowed the Obama liberals down. But it hasn’t stopped them. Our chance to finish the job is finally here. We have our work cut out for us – but together we can make it happen! (Reuters) – An adviser to Sarah Palin, a Tea Party leader and a Republican politician are starting a super PAC to endorse conservative women running for office and gather women’s support for the Republican nominee in the presidential election. The political action committee, called ShePAC, is the brainchild of Tim Crawford, who has advised 2008 vice presidential nominee Palin and former President Ronald Reagan; Teri Christoph, one of the original Tea Party activists; and Suzanne Haik Terrell, former Senate candidate from Louisiana who now runs Project GoPink, a group that encourages Republican women to run for office. The group filed registration documents with the Federal Election Commission on Tuesday to create the super PAC, its leaders said. You can follow ShePAC on Facebook, on Twitter or visit the ShePAC website to learn more. Who Would Believe Frank Bailey? Frank Bailey’s book, Blind Allegiance, a so-called tell-all about Governor Palin, came out today. As I noted here, I esteem the book a tell-nothing. Who can believe anything this guy has to say? He worked for her, and if she is truly the monster he makes her out to be, why didn’t he leave? Why did he seek further employment with SarahPAC? If he wants to be taken seriously, why did he go to two known anti-Palin bloggers to write his book? What, no reputable people to choose from for his hit piece? I wonder why. If he’s not in this for the money or fame, why has he been doing his rounds today, going on MSNBC and The View, of all places? Tonight I’m sure he’s regretting his stop into the Fox News studio; Hannity just handed him his tail on a plate. Frank Bailey has himself been chastised for a lack of ethical behavior, yet he wants us to see Governor Palin as unethical. She, of course, was cleared again and again of bogus ethics complaints. His track record is not so stellar. In their first comments about the book since several media outlets obtained a leaked manuscript in February, two sources close to Palin disputed several of the anecdotes in the book, including his claims of illegal coordination with the Republican Governors Association and that he has seen Palin’s deposition in the so-called “Troopergate” case, which is sealed. Palin’s camp also insists that some of the Palin emails printed in the manuscript are framed to distort events — for example, the emails Bailey includes to show the former Alaska governor’s reaction to her oldest daughter’s pregnancy are about rumors that circulated before Bristol actually became pregnant. Bailey based much of his book on emails between Palin and her aides from during her time as governor. Palin’s team did not provide any evidence that the emails Bailey pointed to in the leaked manuscripts are doctored or inaccurate, saying that the former governor did not hang on to roughly 60,000 emails that Bailey had access to as a member of her staff. But they contend that Bailey is a disgruntled former staffer with an axe to grind and motivated by the ability to make money. Both Crawford and another Palin source told POLITICO that Bailey tried unsuccessfully to secure a job with SarahPAC. Bailey co-wrote the book with two bloggers from the anti-Palin site Mudflats and struggled to get the 456-page manuscript published before it was leaked to the media. Prior to writing the book with bloggers Ken Morris and Jeanne Devon, Bailey approached now-Palin aide Rebecca Mansour about writing what [sic] book. Mansour, then a blogger for the Palin fan site conservatives4Palin, turned him down — though she says at that point, Bailey pitched it as a positive account of the former governor. Frank Bailey simply isn’t believable. His actions don’t add up. No one with an ounce of integrity would believe him, especially since no one with an ounce of integrity would do what he’s doing, the way he’s doing it. My final note is this: Frank Bailey professes to be a Christian, yet he says he hasn’t spoken to Governor Palin since 2009. What happened to the Scripture that says if one has a problem with a brother or sister, he should go to that person to discuss it? I obviously missed the verse about securing a book deal and embarking on the media circuit. I’m writing today in hopes that you will take just one minute right now to help me plan a special surprise for Governor Sarah Palin in honor of her birthday on Friday by giving a gift to SarahPAC today. Your gift will be a welcome surprise on Sarah’s birthday, especially in the wake of the increasingly vicious attacks from her enemies on the Left. Talk-show host Oprah Winfrey said “the intelligence of the American public” will keep Sarah from ever being elected President. And MSNBC’s Chris Matthews called her a “balloon head” on national TV. 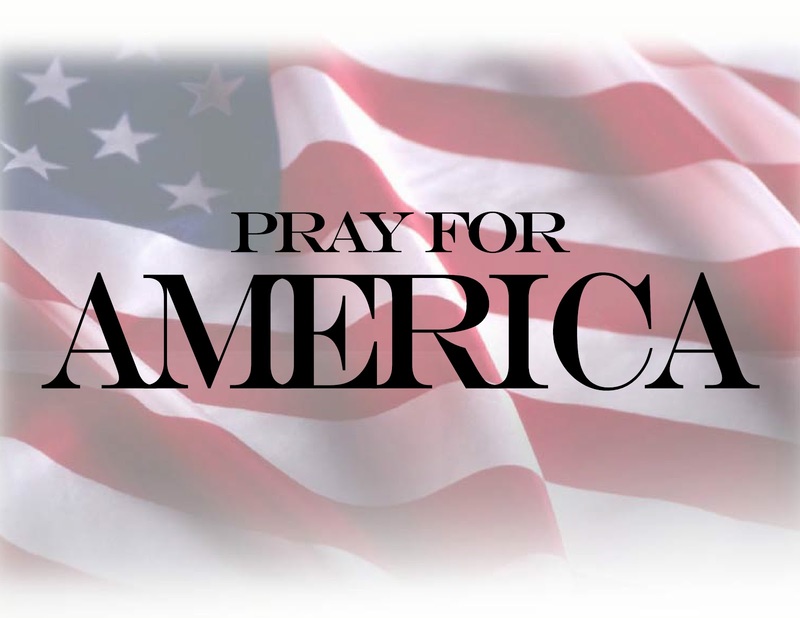 Just like Ronald Reagan before her, Governor Palin is despised by the Left because she freely admits her faith in God, is unabashedly proud of America, and fights to limit the long arm of the federal government when it comes to our freedoms and our families. Sarah Palin is proud of America – not ashamed of our greatness. She puts her trust in the U.S. Constitution – not in politicians. She thinks you should get to choose your own doctor, what kind of car you drive, and what kind of light bulbs you’ll use in your house – not government bureaucrats. She’s willing to fight the War on Terror – not surrender it to enemies abroad and Islamic radicals right here on our own soil who hate us. And she understands that cutting taxes and repealing ObamaCare will do more to strengthen our economy than handing out billions in “bail-out” dollars to businesses and people who didn’t earn it. Frankly, Sarah Palin is a threat to liberals who make their living off of a bloated, out-of-control federal government. That’s why they attack her. It’s why they call her names. Why they want her to fail. And it’s why I’m counting on you to give a gift to SarahPAC for Governor Palin today to let her know that you are still standing by her side in the face of these relentless attacks. Nothing is more important to Sarah right now than making sure SarahPAC has the funds it needs to help elect more common-sense conservatives in 2011, including candidates in critical state races, special elections, and run-offs. Three crucial governor races alone will make this a key year for conservatives. Can Sarah count on you to help her elect lawmakers who will obey the U.S. Constitution, not re-write it? If so, please send your best gift possible to help SarahPAC continue the conservative revolution we started in 2010. I want you to know how much I appreciate your taking the time to help me honor Governor Palin on her birthday this week. And more importantly, thank you for your patriotism and your willingness to step forward and help her support pro-Constitution candidates now when so much is at stake for our nation!